About Us - Bedford Village Pastry, Where dessert is the main course! 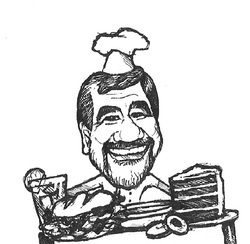 Michel Rossignol, owner and Executive Pastry Chef of Bedford Village Pastry, has been serving Westchester County for almost 27 years. After owning and operating a bakery in Scarsdale, NY for six years, Michel opened Bedford Village Pastry in 1996, and has been faithfully serving the residents of Bedford Village ever since. Michel takes great pride in all that he creates. He and his crew have perfected each and every confection they produce. The work speaks for itself! Call to inquire about items we offer, place orders, or just stop by & check us out!